New Features Radeon ReLive: Capture, stream and share your greatest moments and gaming wins on your computer system with Radeon ReLive. Modify settings quickly, conveniently, and play seamlessly with the easily accessible in-game toolbar. Express yourself in bold new ways with custom scene layouts. Upload your latest highlights and let them be a conversation piece. It's never been easier to build and grow your online community at anytime, anywhere. Radeon Chill: A power-saving feature that dynamically regulates frame rate based on your in-game movements. Radeon Chill can improve power efficiency and can lower temperatures for supported products and games when enabled through Radeon Settings. 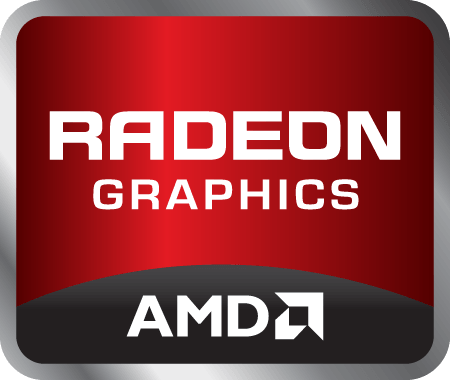 Radeon Software Installer: New user interface and intuitive Radeon Software Installer that includes options for express install, custom install and clean uninstall. The new installer will also show options for the latest available driver for your system configuration during the install process. Display Connectivity: New advanced display settings and diagnostics page within Radeon Settings with better detection for HDMI cable issues and fallback for end users experiencing display issues. AMD FreeSync Technology: Now supports Borderless Fullscreen Mode for applications and gaming with AMD FreeSync technology displays and supported products. Now supports Gradual Refresh Rate Ramp for mobile configurations with AMD FreeSync technology displays and supported products. Upgrade Advisor: Provides a system requirement evaluation for Steam games in your Radeon Settings library. HDR Gaming Support: Experience the benefits of HDR gaming with Radeon Software Crimson ReLive Edition. Support for games with HDR 10 or Dolby Vision capabilities. VP9 Decode Acceleration: 4K 60Hz GPU-Accelerated Video Streaming enabled on supported Google Chrome web browsers. Skype Performance Enhancements: Lower CPU usage during Skype calls for select AMD APU Family products. DOTA may experience flickering in some hero and effect models when running the application in Fullscreen. The Division may experience flicker during gameplay when using AMD Multi GPU configurations. The Division may experience an application freeze or hang when running in AMD Multi GPU configurations after extended periods of play. DirectX12 content may be unable to launch on some older CPUs that do not support popcnt instruction. Titanfall2 may experience black square corruption in game menus or during game play on some Graphics Core Next products. DOTA2 may experience game corruption when performing a task switch while recording with Radeon ReLive in AMD Multi GPU configurations. Radeon ReLive Overlay/Toolbar will not launch or Record when running League of Legends in Administrator Mode and Windowed Borderless Fullscreen. A work around would be to not use administrator launch privileges or to use Fullscreen mode.